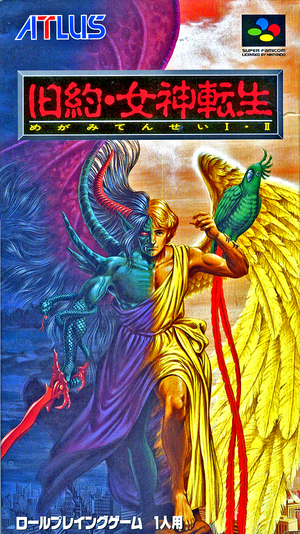 Kyūyaku Megami Tensei: Megami Tensei I・II consists of Megami Tensei and Megami Tensei II for the Famicom being updated and ported to the Super Famicom. It was released only in Japan in 1995, and was itself later ported to the Wii's Virtual Console in 2012. This port features remade dungeon segments for Megami Tensei, along with a new save game and teleportation terminal feature which previously did not exist. The graphics and music were also enhanced to match the capabilities of the Super Famicom. The graph below charts the compatibility with Kyūyaku Megami Tensei: Megami Tensei I・II since Dolphin's 2.0 release, listing revisions only where a compatibility change occurred. This page was last edited on 10 December 2017, at 22:18.